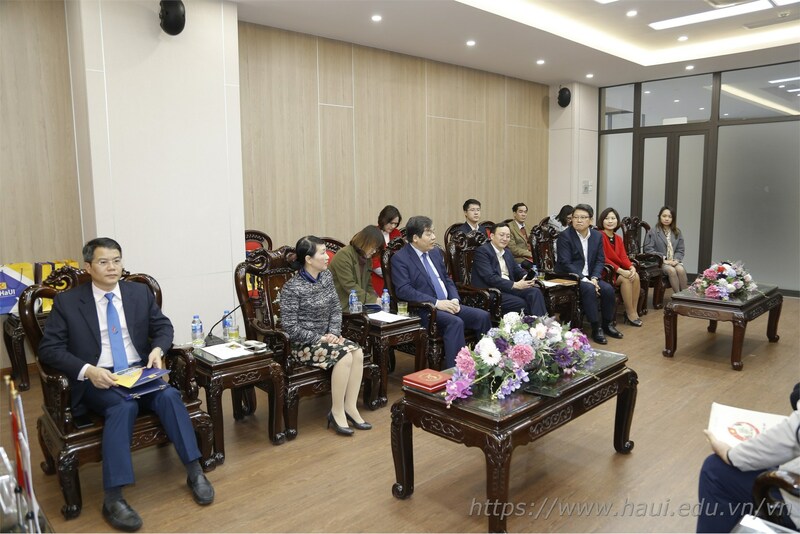 Attending the meeting, on the side of HaUI, there were Assoc. 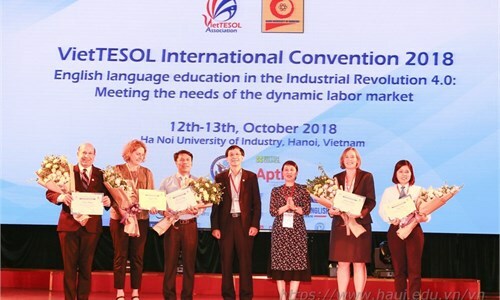 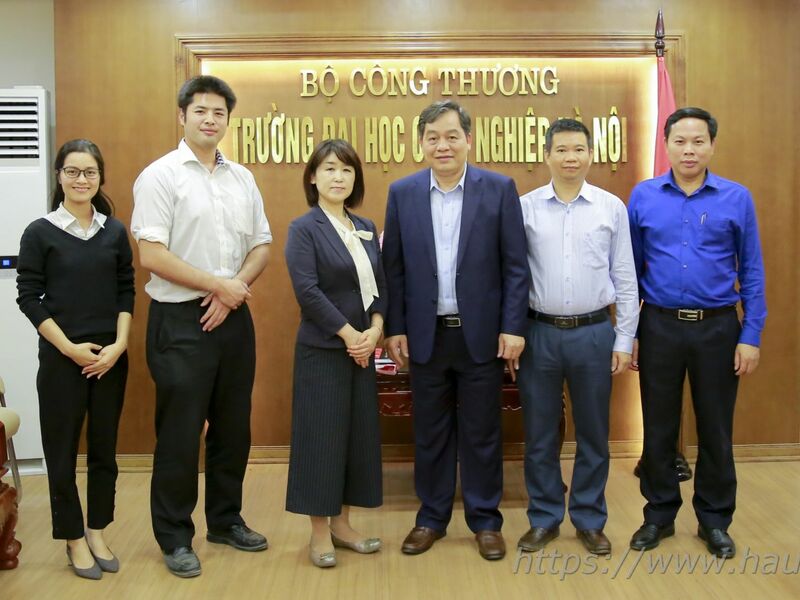 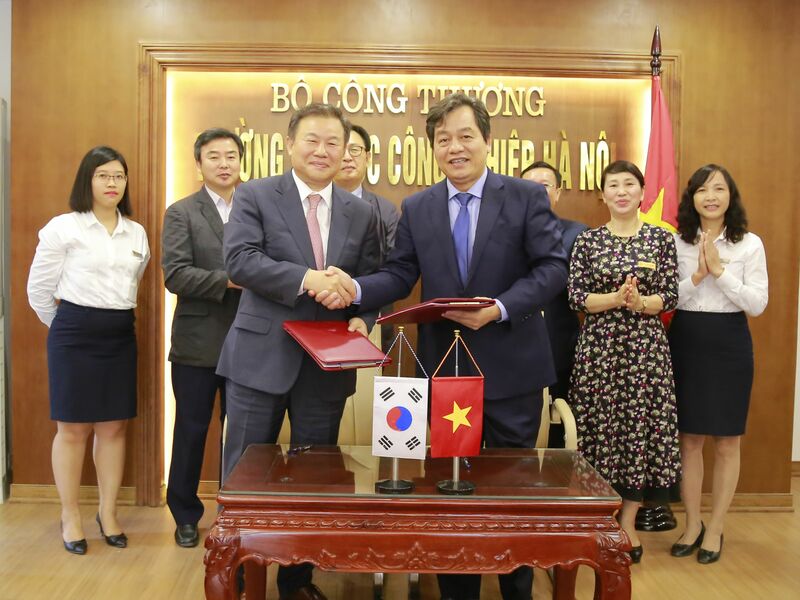 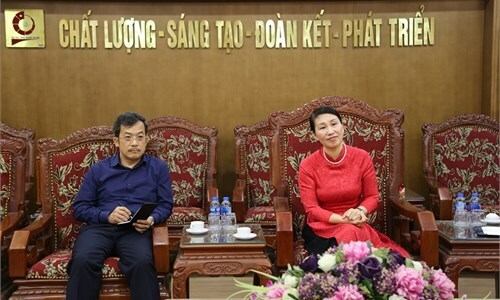 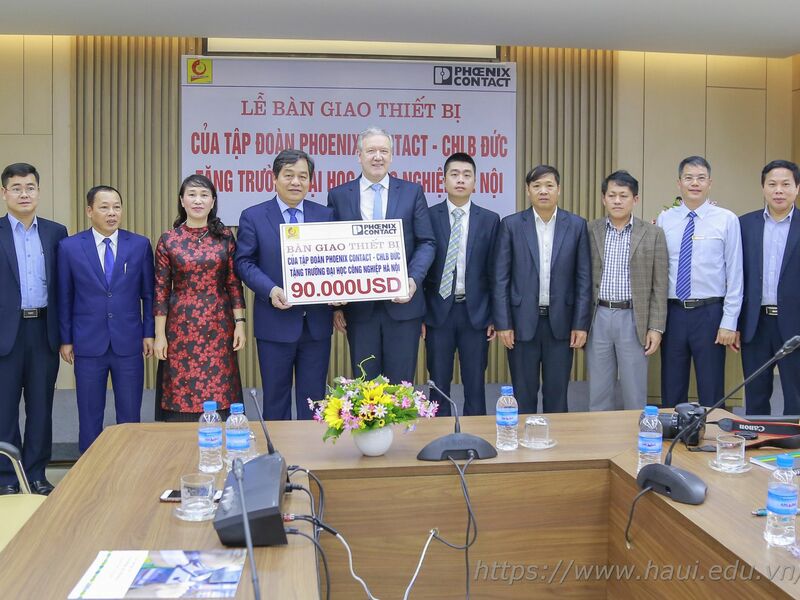 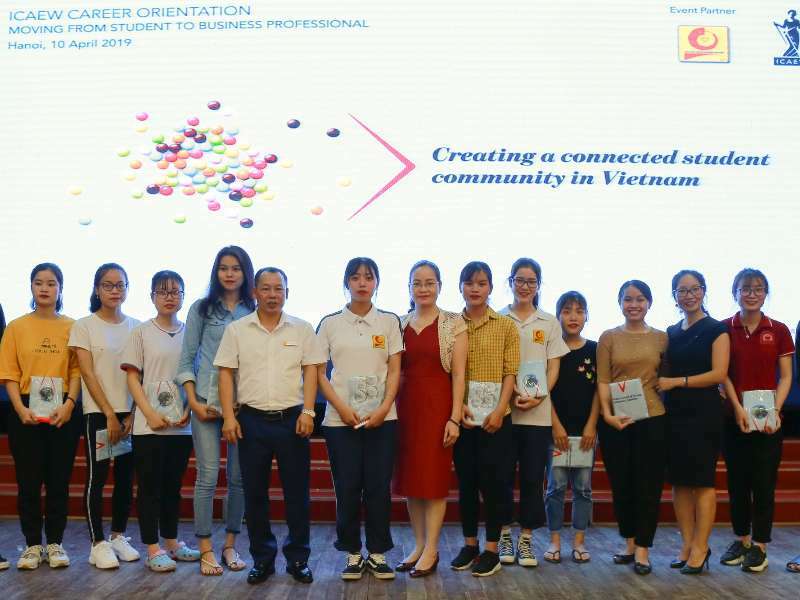 Prof. Dr. Tran Duc Quy - Rector, Dr. Bui Thi Ngan - Vice Rector and representatives: International Cooperation Department, Faculty of Foreign Languages and Letco Company. 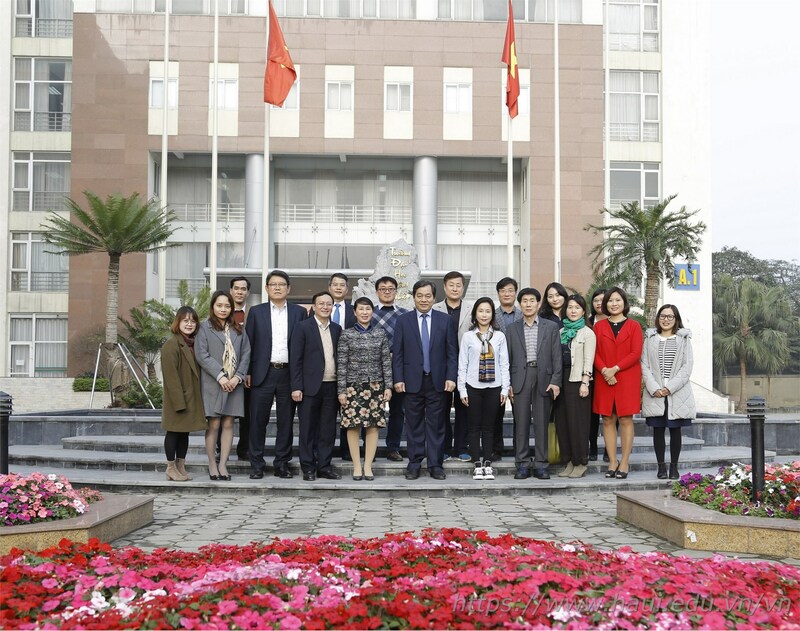 On the side of SeoulTech, there was Dr. Noh Hye Ran - Vice President and other members. 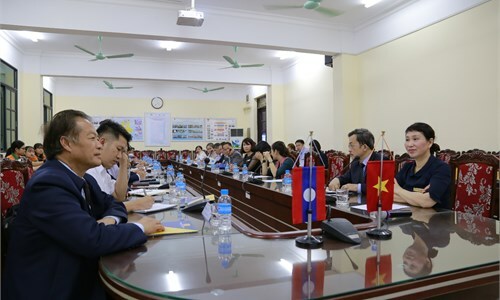 Speaking at the meeting, Assoc. 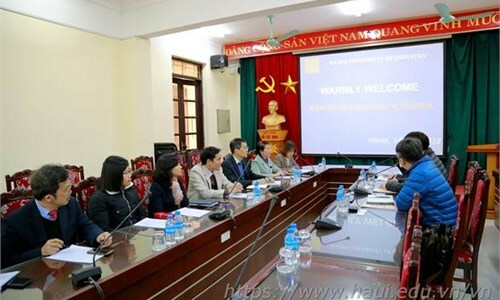 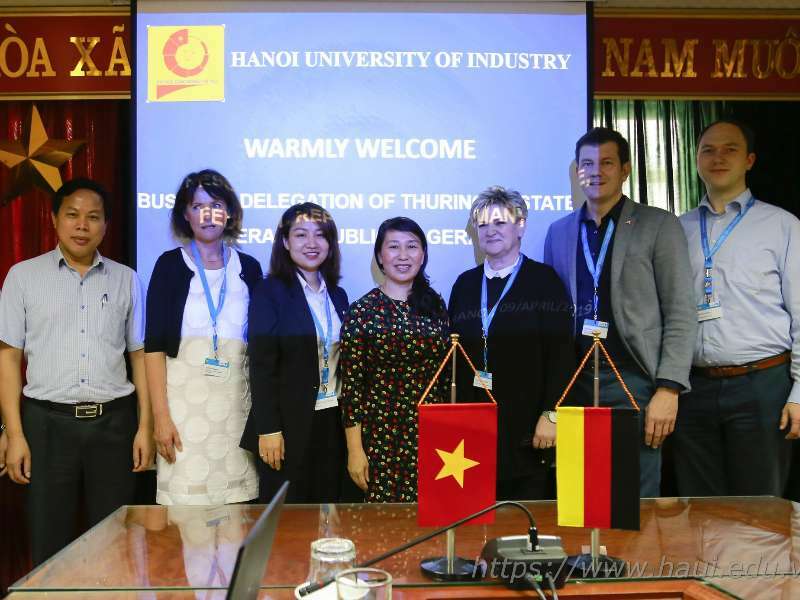 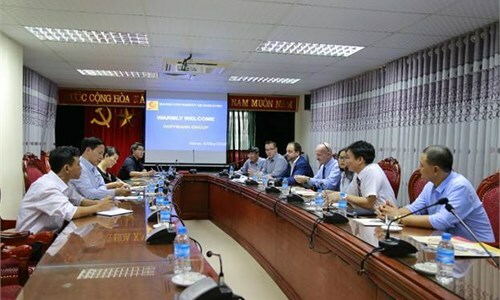 Prof. Dr. Tran Duc Quy presented the general overview of HaUI. 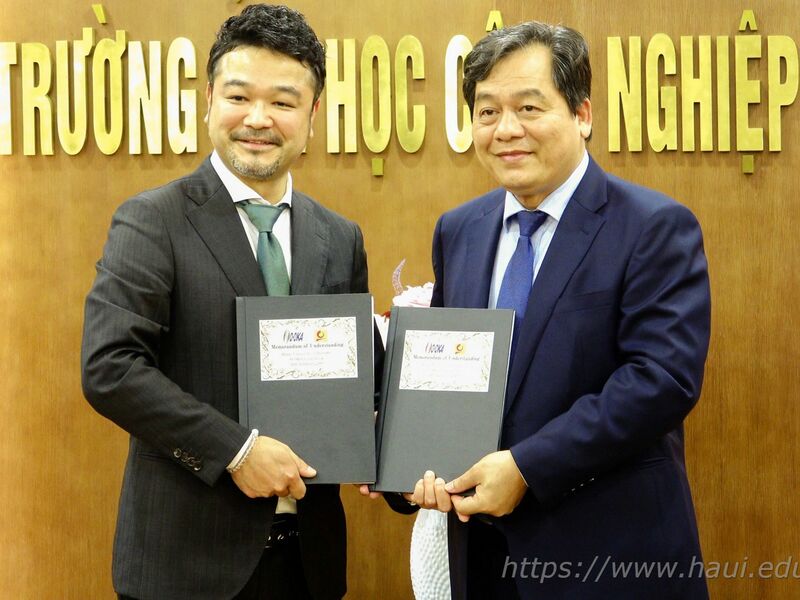 HaUI has always focused on developing international cooperation and has established international cooperation with hundreds of partners, including Korean universities such as Hannam University, Kijeon University, Sangmyung University, Gyeonggi University of Science and Technology, Kunssan National University ... Rector Quy hopes that the two sides will soon reach many important collaborations. 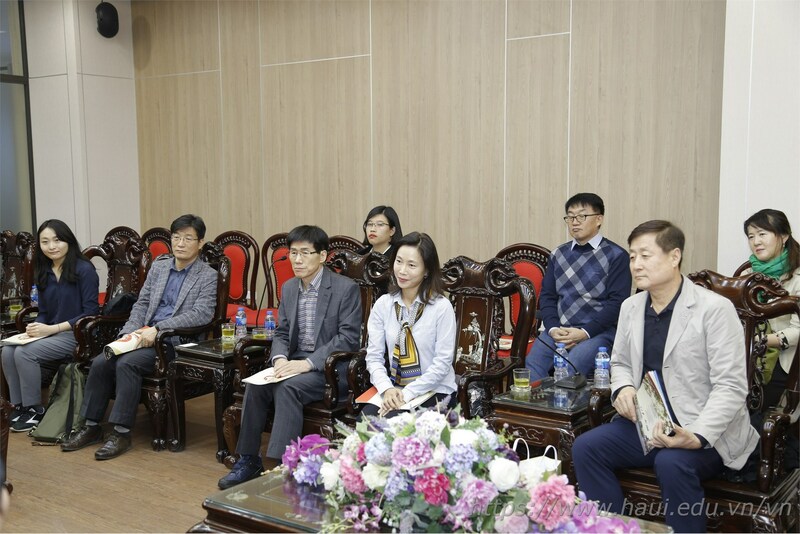 On behalf of SeoulTech, Dr. Noh Hye Ran - Vice President expressed her pleasure to visit HaUI - a prestigious university in Vietnam. 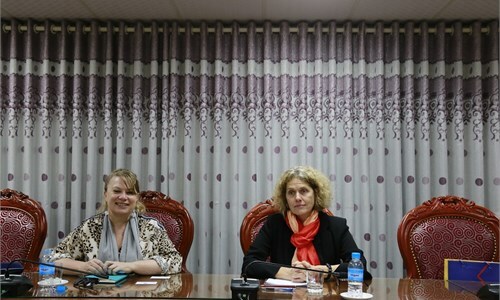 She considered this is an opportunity for the two sides to promote intensive cooperation in many areas in the future. 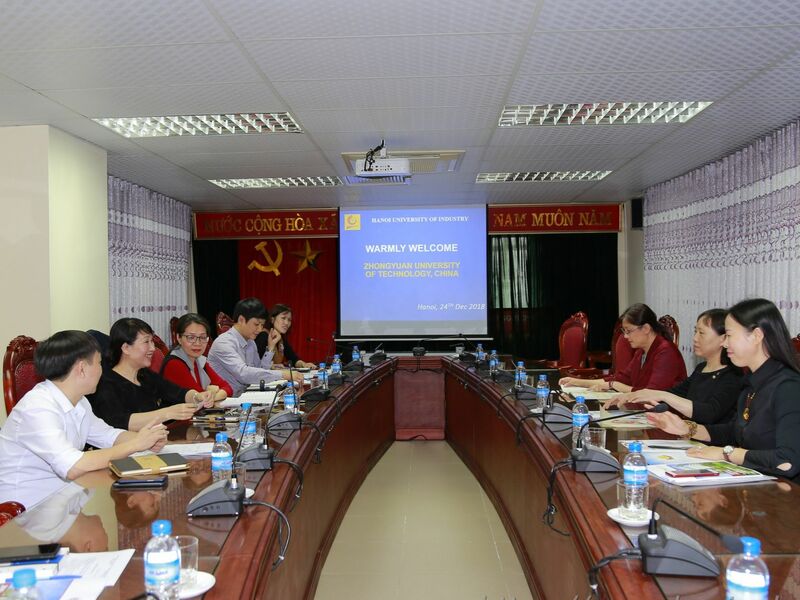 8) Exchange in text-books, academic materials, periodicals, science and technology information.